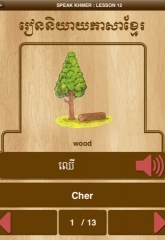 Khmer language has a complex pronunciation, with 33 consonants and about 16 vowels and diphthongs. 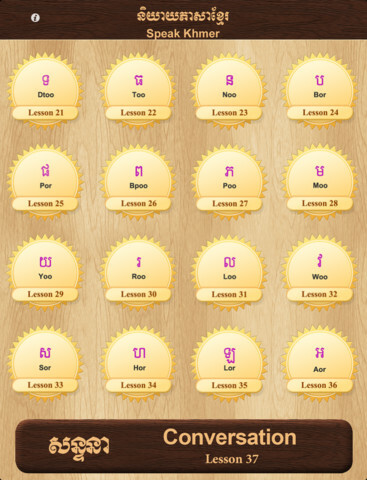 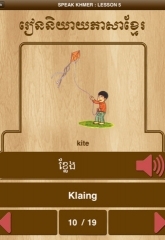 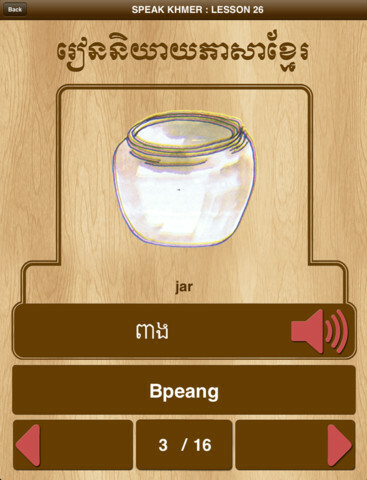 Speaking Khmer is not as hard as it looks, we have tried to approach the proper pronunciation of words and sentences without having to use phonetic charts. 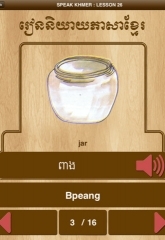 Pronunciation is based on the English language. 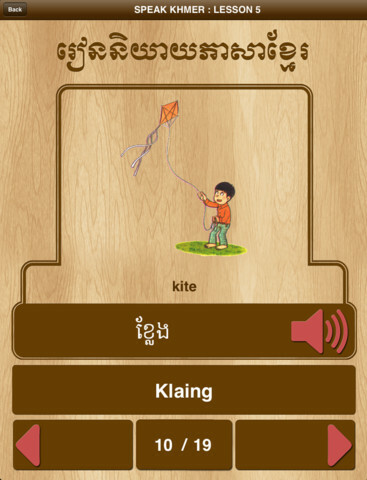 Khmer is written in a beautiful script, which is derived from Sanskrit. 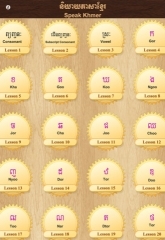 As is the case in learning any new language, immersion and practice with native speakers is probably the best way to become competent in speaking, writing, and reading Khmer.